These days I have every excuse not to cook. We are traveling constantly, and when we’re home in San Francisco we’re eating out at the endless restaurants as well as at Google during the week. I won’t lie, I enjoy this time of life when I don’t have as many dishes and grocery shopping and cooking, but truly it’s something I miss. We have a few calmer weekends coming up, so I’m stocking up our fridge & pantry and trying some good new recipes. 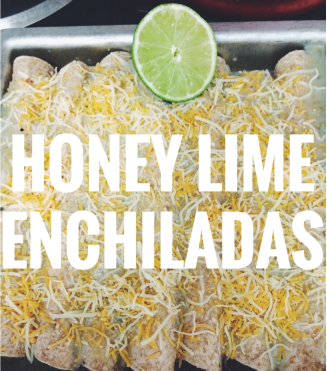 Here’s our first new favorite, these honey-lime chicken enchiladas. They are found in the favorites cookbook, and I lightened them up a bit so here is our version! stir together honey, lime juice, & garlic powder. add chicken and let it marinate for at least 30 minutes. Mix enchilada sauce with half and half. Spread half of the sauce in the bottom of a 9×13 baking dish, and set aside. 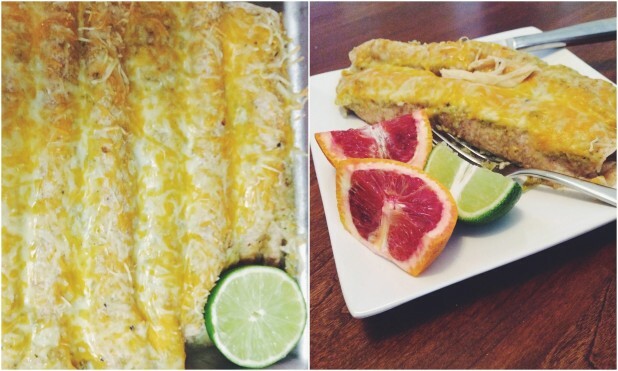 Fill tortillas with the marinated chicken and sprinkle with cheese before individually rolling up. Line them up in pan, pour remaining enchilada sauce over the top, and sprinkle the top with cheese. Bake at 350 degrees for 25-30 minutes! Thanks to my sis-in-law for the recipe!! We loved these and we will be making them often. I also have heard these are great with shredded pork so we’ll try that and let you know!